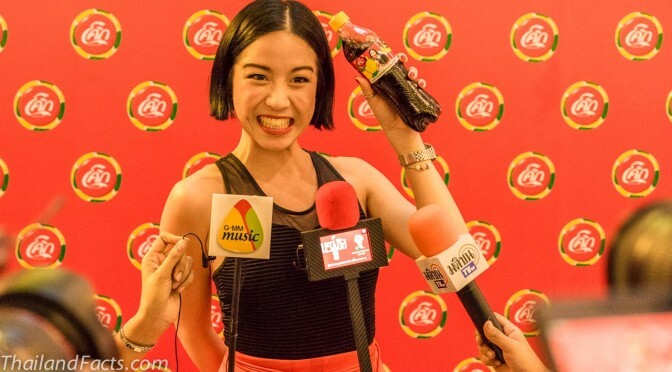 There was a party at CentralWorld, Bangkok, Thailand to celebrate the collaboration between Coca-Cola and the FIFA World Cup 2014 in Brazil. Many people from the jetset were present and enjoying the party. Ploi Horwang, Social Media Editor at Harper’s Bazaar was here and attracted a lot of attention. This entry was posted in Thai Actress, Thai Celebrities, Thai Models, Thailand Stars on March 28, 2014 by AsiaEmbassy. This entry was posted in Shopping Mall, Thai Actress, Thai Celebrities, Thai Models, Thailand Stars on November 10, 2013 by AsiaEmbassy. This entry was posted in Shopping Mall, Thai Actress, Thai Celebrities, Thai Models, Thailand Stars on September 14, 2013 by AsiaEmbassy.